Travelling Secrets. Installation in Antrepo, at the IV. 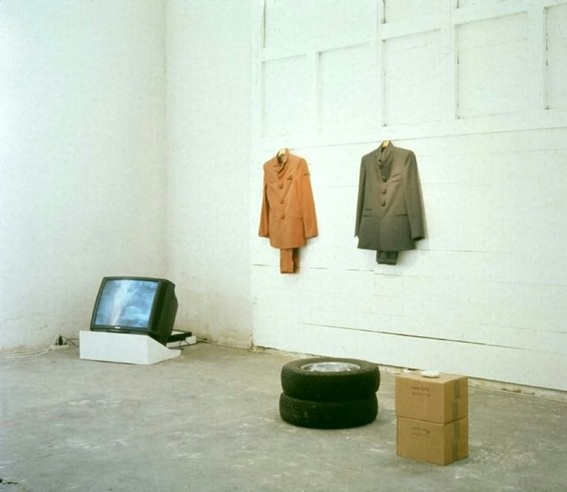 Istanbul Biennial, 1995.
materials: suits, watches, contraceptives, tyres, soaps, white powder, monitor, dvd.